A very wise man recently said, “Not even Donald Trump has enough money to do this business completely on his own.” Even Donald Trump finances his deals. While we use our own money as much or more than many other redevelopment companies, we still need to finance projects occasionally. That’s where we give you the opportunity to profit from our business model without having to buy, redevelop, sell, or lease anything. 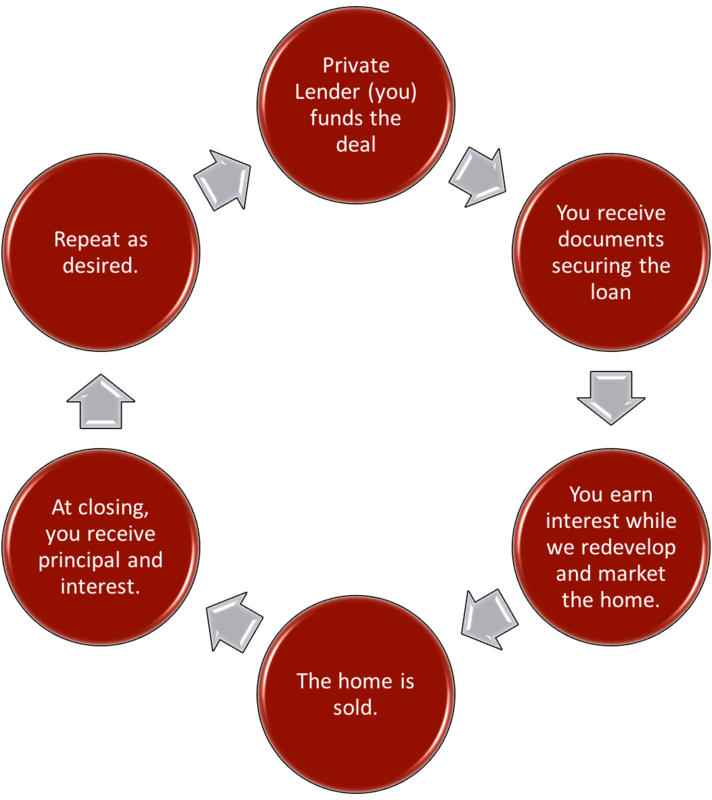 By becoming a private lender, you become the bank, and we pay you interest for using your money to finance one of our projects. 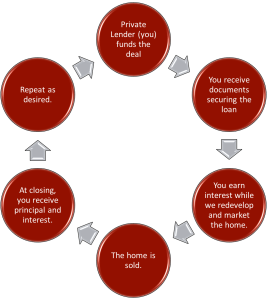 A private money loan is a loan that is given to a real estate investor, secured by real estate. Private money investors are given a first or second mortgage that secures their legal interest in the property and secures their investment. When we have identified a home that is well under market value, we give our private lenders an opportunity to fund the purchase and redevelopment of the home. Through that process, the lender can yield extremely high interest rates: many times the rates on bank CDs and other traditional investment plans. You could earn a substantial passive income through a method that is much safer than gambling on the stock market. This article from Lee explains some of the precautions you can take to ensure your money is safe. Visit our site for investors for a personal invitation and a link to our PDF investor information booklet.